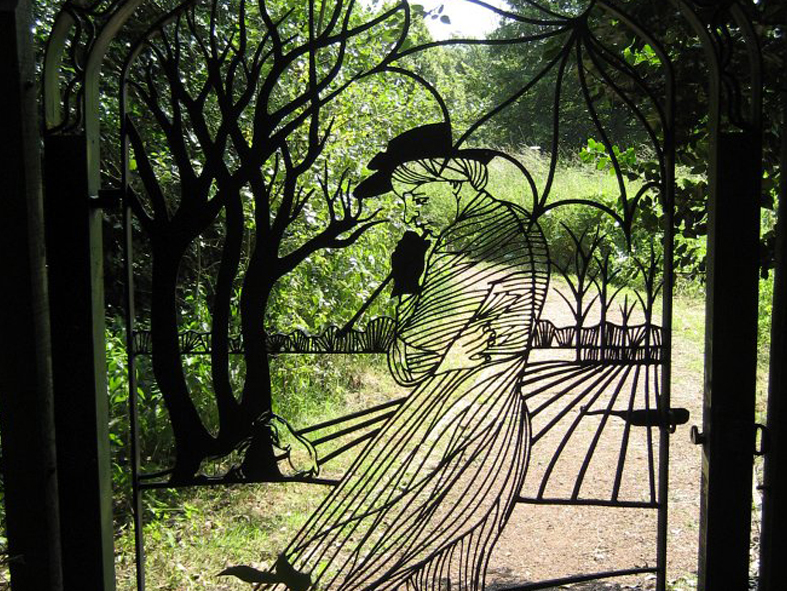 For many years Diane has also designed gates and railings. Two of our favourite works are shown here - move mouse to see each design. Both were based on local stories about the people that used to live in each place - Kitty was a servant, and the Wright sisters donated Castle Park to the people of Frodsham in 1932.